Description: The male is darker in coloration than the female. The male carapace is brown with wide dark bands flanking the median area, which is widest posterior to the eyes. In addition, there are dark submarginal bands almost reaching the edge. 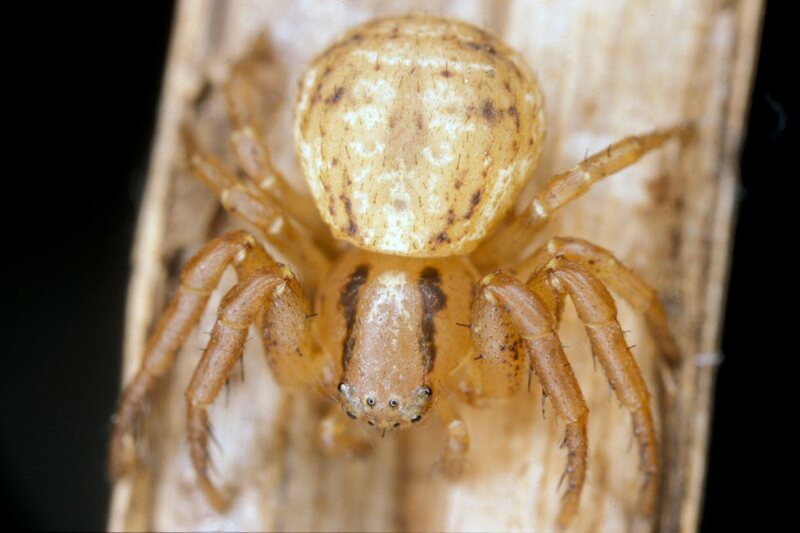 The abdomen is brown with some darker blotches, an indistinct white cardiac mark, and some white transverse lines in posterior half. 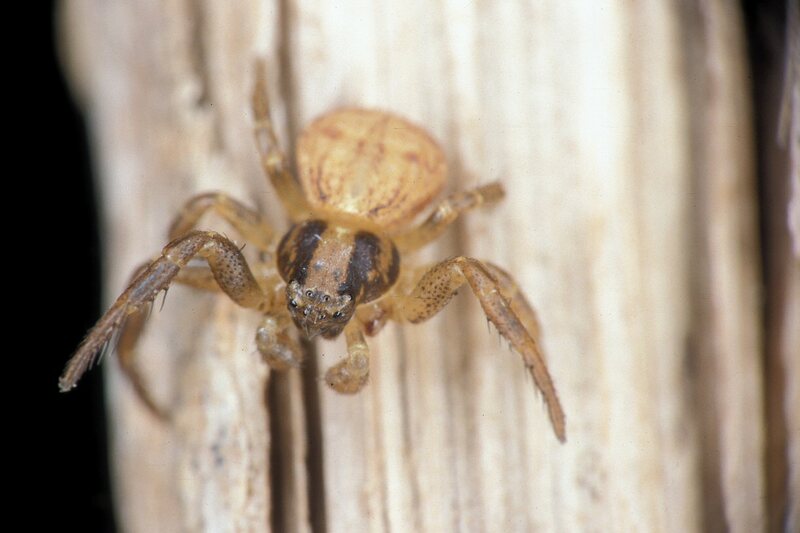 The female carapace is light yellowish brown with much narrower dark bands than the female and with the lateral bands sometimes absent. 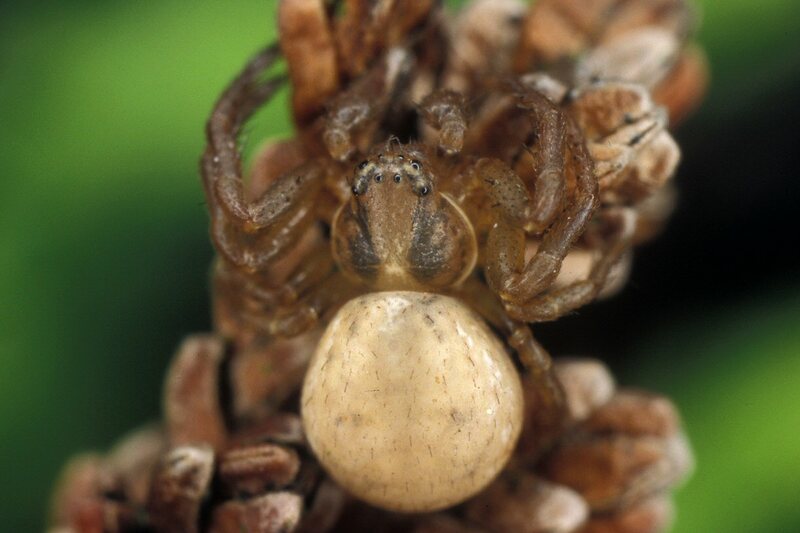 The abdomen is marked much like the male, but the colouration is lighter and dominated by light colours. Size: Female 4-5.5 mm; male 3.3-4 mm. Genus: Ozyptila Simon, 1864. 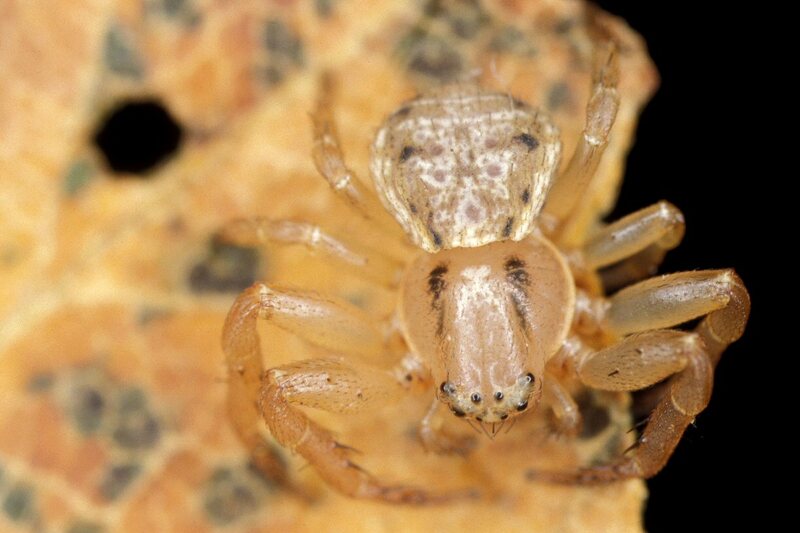 (Leaflitter crab spiders). 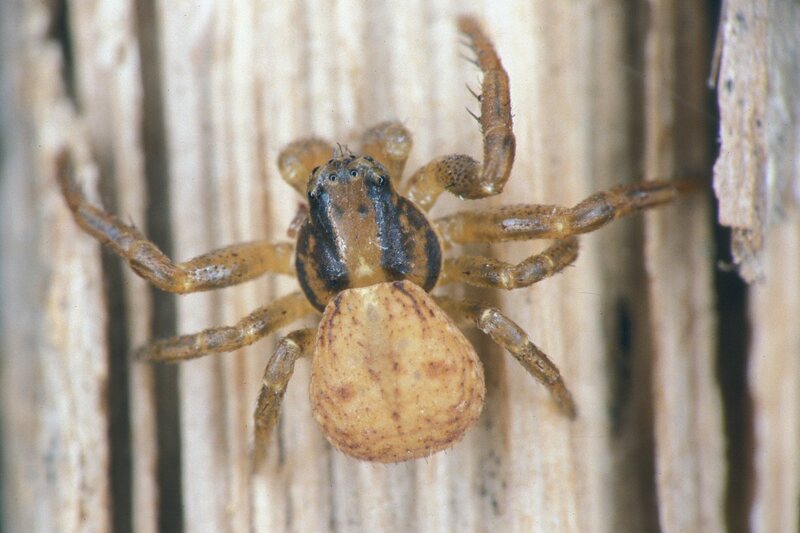 Characters of genus: The members of this genus have colours and markings that make them resemble species of the Xysticus genus. However, they differ by being smaller, by having the median ocular trapezium longer than broad and by having the head protruded from thorax so that the carapace appear less circular. 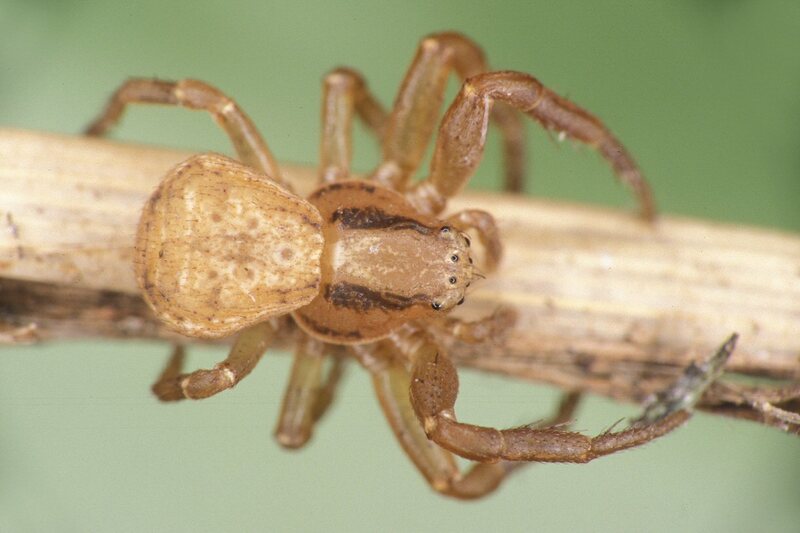 In addition they have only two pairs of ventral spines on tibia I and II, and the body is clothed with clavate hairs. These break off fairly easily, and may therefore be lacking. In some species the setae are very small and difficult to see with a lens. The abdomen is without a folium but with spots and transverse bars. Femur I is often swollen on prolateral side. Legs III and IV are only slightly shorter than I and II. Males are usually darker than females and more compactly bodied. 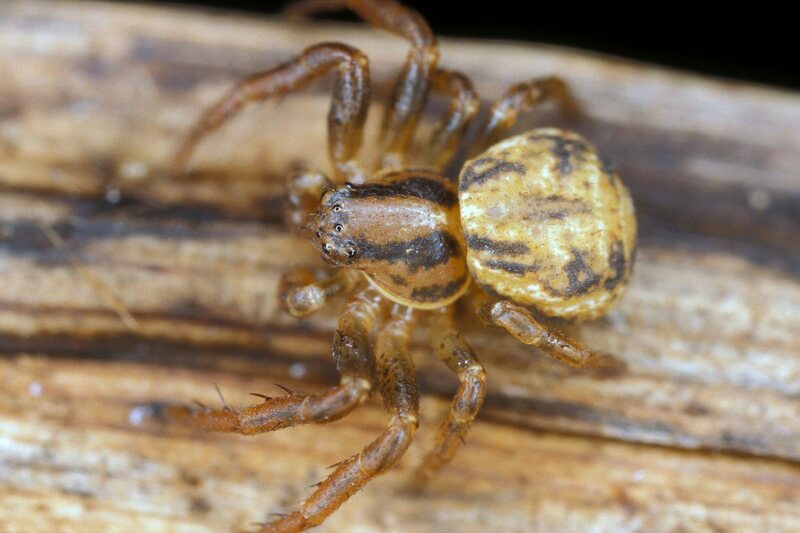 This is in contrast to most other spider species where males usually are more slender and long-legged compared to females.